This is one of those projects I've been meaning to do for years. I have the cable release that Moss and VB sell but I stumbled on this much better way a number of years ago and saved the article. Design credit goes to Joe Cannon at jpc8904@yahoo.com . Joe also sells them ready made for $9.00. I got a 2"x3'x3/16" piece of steel and cut the piece that mounts on the hood release bracket. The pull rod that makes it all work is a piece of 1/8" steel rod that I mounted to a handle I already had. It's actually the handle that comes with the Moss cable release kit. I drilled a 1/8" hole in it to insert the rod and then secured it with a cotter pin. After installing everything I found that you could pull the rod down too far which would cause the new bracket to move past the hood release tab. 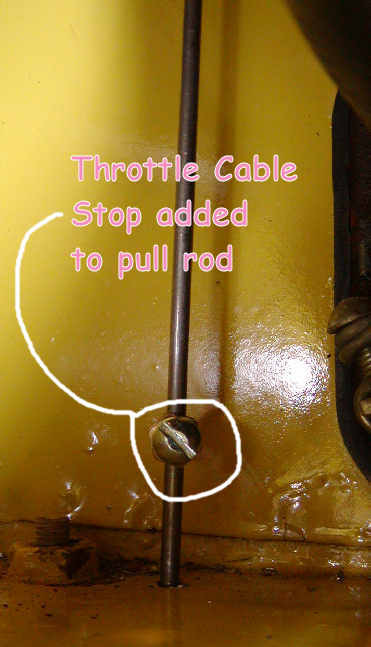 I picked up a cable stop for a throttle that fit perfectly over the 1/8" steel rod and secured it to allow enough movement to just release the hood. 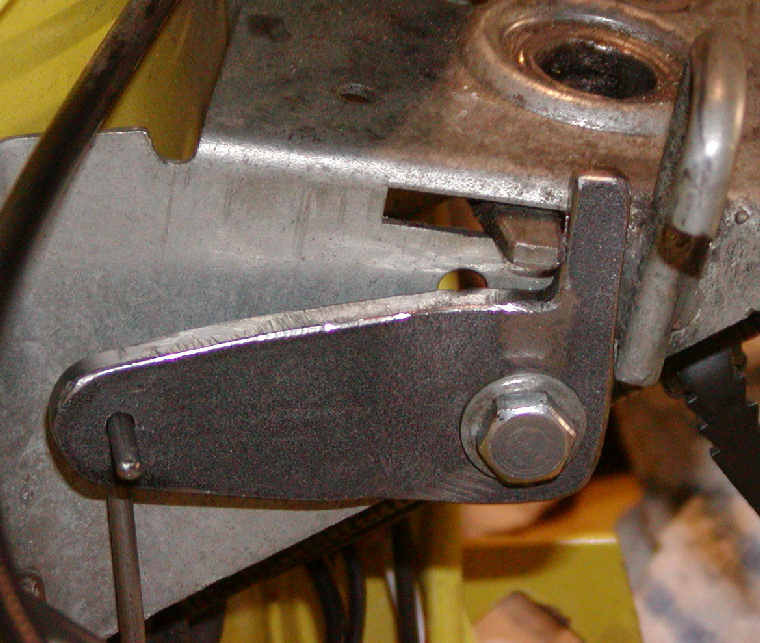 The handle hangs down in the passenger foot well and makes it easier to open the hood then with the stock unit on the driver side. Total cost was about $5.00.